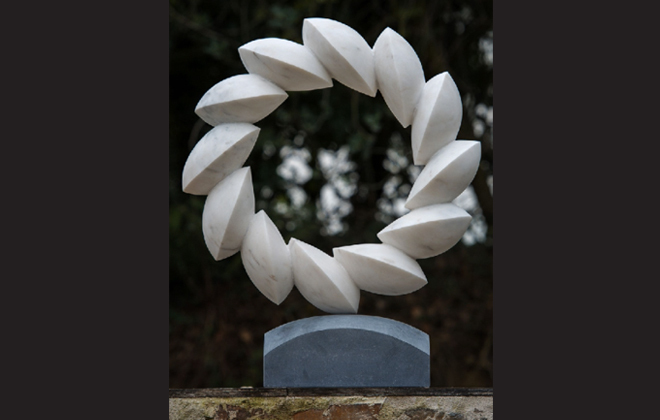 Having never been much of a sculpture fan, I find myself gravitating to it more and more upon living in England. I am not sure why that is. Perhaps it is a result of all my visits to some of the great country houses and their usually magnificent gardens. I have learned to appreciate sculpture surrounded by green. When one of my absolute favorite galleries in London, the John Martin Gallery, sent along an invite for their next sculptural exhibit, I was intrigued. In the heart of Mayfair, they specialize in contemporary painting and sculpture. I have seen quite a number of special exhibits there but this was the first sculptor that really caught my eye. 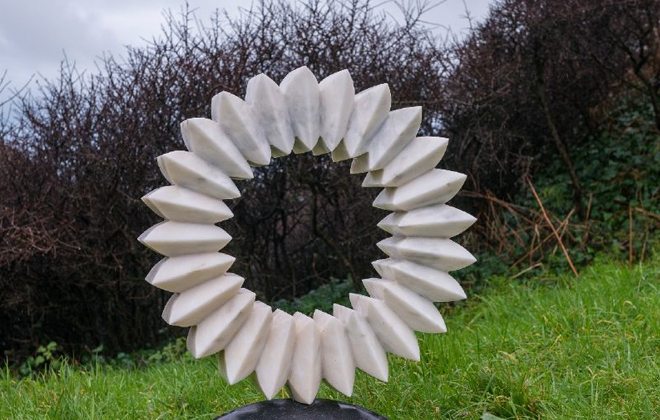 The exhibition presents eighteen sculptures each carved from a single block of Portuguese marble. 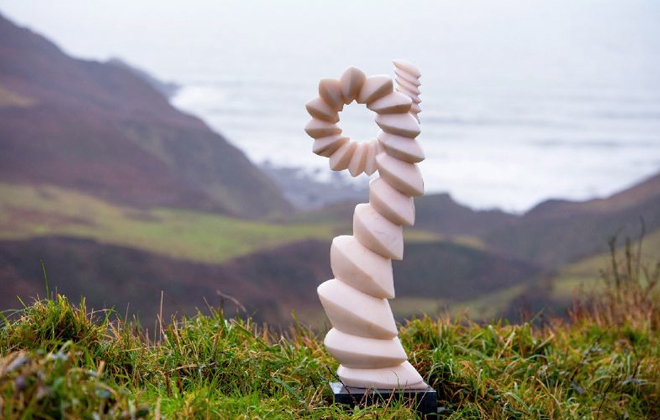 Get this: William Peers does not plan the carving, instead he chooses to respond directly to the stone, relying on his intuition and extraordinary technical skills to tease out immense spiral twists, slim rising forms or jointed circles. Extraordinary! William is quite a modern day visionary as well as a talent. 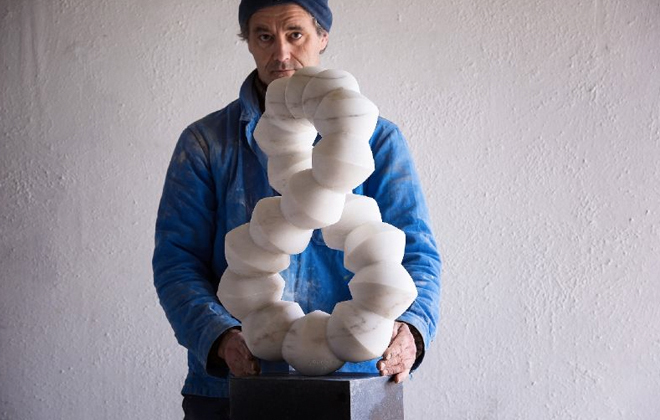 I enjoyed reading this lovely article on his apprenticeship with sculptor Michael Black, the man he credits with his learning to carve. You might have guessed that I am quite passionate about apprenticeships and how craft and skill can be passed from generation to generation because of it. I think the main reason I was interested in his work was purely visual. I love the way natural forms are found in his work. So graphic and symmetric. 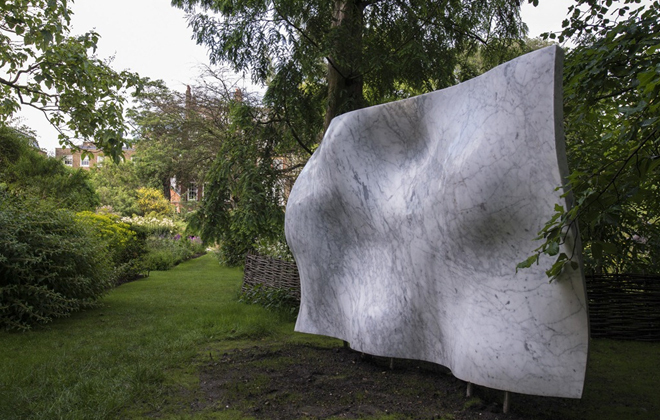 They just seem to fit into the landscape and I cannot believe he just lets the chisel and his intuition do the carving on a huge slab of marble. I guess a Peers sculpture feels like it would be just right to put into the garden of the great country house!